Today’s new release post is for Water Harvest by Eric Diehl. This is a sci-fi fantasy book that for some reason reminds me of Dune from the blurb/cover. Check it out! The Great Houses of Kast’ar have grown complacent. Technological adaptation bolsters a fragile biosphere, but one quandary remains unattended. Lunar-based harvest vessels orbit continuously, extracting their toll of moisture from the upper atmosphere. Over time, the planet dries. Now the Rules are caught unawares when a lunar enclave launches an invasion intended to seize control of the Harvest. House Alar, the greatest of the bloodline Keeps, falls before the predatory warlord. The invader’s technology is strong and they are aided by the Guild; wizard-like practitioners whose hallucinogen-induced evocations bend fate to their will. 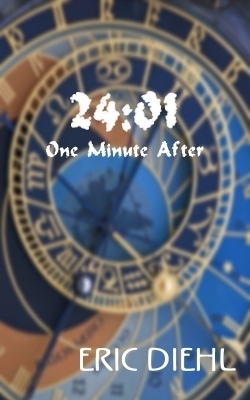 Also, one of Eric’s other books, 24:01 One Minute After, is currently free on Smashwords, so if you’d like to get a feel for his writing, check that one out! Then go get Water Harvest! Can you imagine what your world might be like, One Minute After? A blurring of reality that transcends rational bounds; where every frame of reference has been turned on its head, and visuals are but fleeting reflections in a hall of mirrors? A questionable turn on a time-worn cliché but fairly apt—a jack of many trades. Perhaps it began with the custom van built in the long-haired days of the early 70’s—an old school bus with an engine salvaged from a junk yard. Or with the dozens of motorcycles ridden, broken, repaired and ridden again. Eric has built furniture and guitars, he’s screen-printed t-shirts and created package design for bottled soap. He’s thrown newspapers and he’s written software for corporations large and small— for a time working from the wandering RV he and Sue called home. He does website design and he’s published motorcycle and RV travel articles. He earned a pilot’s license and built and flew a gyro-copter over the cane-fields and beaches of Florida. 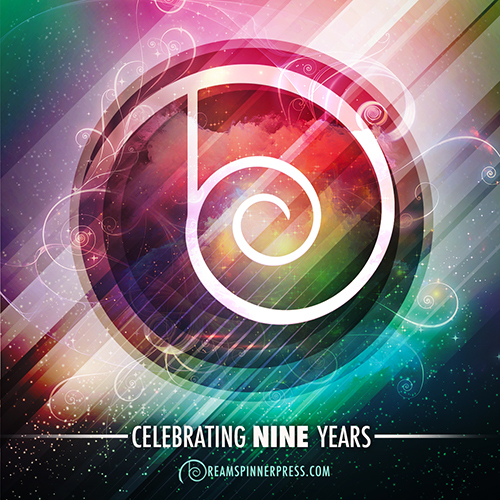 He’s penned tunes and published Sci-Fi/Fantasy short stories and two novels; Water Harvest, with Double Dragon Publishing in September 2011, and Guild of the Viizar, self-published in early 2012. After more than three decades in south Florida, Eric and his lovely wife Susan moved to the Upstate region of South Carolina, where the nearby Appalachians beckon two-wheeled leisure. When cranky knees allow it, bicycling is a favored indulgence—more often, these days, on a recumbent. Motorcycling remains a serious passion, justified at least in part by instructing a course in motorcycle safety. He was likely a cat in a previous life, as there’s an undeniable affinity. He looks odd, and children sometimes call out Hi Mister Ski Man! 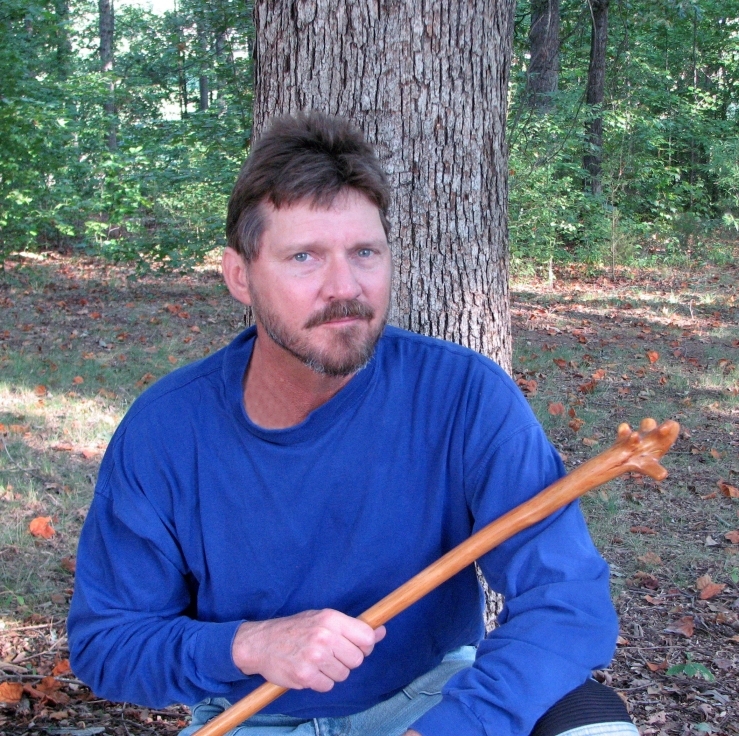 when he hikes by weilding his pair of walking sticks.